Data is the new currency of today's organizations. Big data. Open data. Secure data. Backup data. From predicting weather patterns to improving health care diagnostic tools, data-driven decisions are made every day. Everywhere you look, data is collected and morphed into meaningful information. The reality is, collecting and tracking data isn't enough. For businesses to truly thrive in an economy where more than 205 billion emails are sent every day, organizations need to translate data into something valuable. It could mean interacting with clients and customers in a whole new way, augmenting productivity, or boosting sales. Whether you're aiming for an intimate understanding of your clients or planning to design a smooth omnichannel experience for your customers, data remains a valuable resource. However, data mining, collection, and interpretation are impossible without its core enabler -- the Internet. What was once considered a luxury is now a necessity for small to mid-sized businesses. In fact, the constant connectivity to the cloud and the Internet of Things has prompted companies to shift their business model mindsets. Google employed data science to predict which employees are more likely to leave, resulting in a significant reduction in their attrition rate. Wal-Mart turned to machine learning and observed 15 percent increase in their online sales. Harvesting chunks of data and translating them into impactful decisions is not limited to the likes of Google and Wal-Mart anymore. Fiber connectivity has made it possible for businesses like yours to live fully up to your potential in a data-driven economy. Traditional hierarchy models in business rely on control -- may it be a controlled environment or putting someone in power to optimize efficiency. These days, this traditional approach has shifted to a model founded on adaptability. The digitization of data has resulted in a more agile way of running businesses. Today, fiber connectivity has played a huge role in helping businesses become more fluid and agile in their approach. 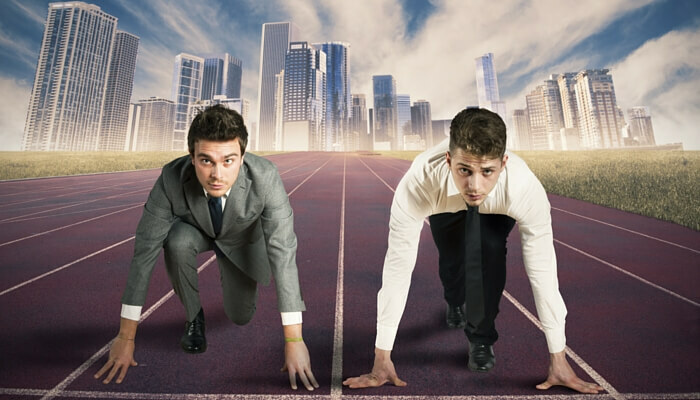 Potential of cutting costs on IT infrastructure without sacrificing efficiency. Cloud storage and applications have been around for a while. They have only become more accessible in recent years due to increasing faster broadband speeds. Small to mid-sized businesses can now rely on cloud-based services such as collaboration tools and software applications. Take Google Apps for instance. Businesses can share files within the team and their clients without relying on IT subcontractors to set up their file-sharing servers. With fiber connectivity, business owners can focus more on marketing and product development rather than endlessly fret on IT costs. Opportunity to foster stronger relationships and better engagement with clients and customers. There's more to video conferencing than seeing clients and customers in real-time. Faster broadband speeds can make video calls an opportunity for you to share a proposal involving complex documents or do a demo without the frustration of ultra-slow connection. The chance to trim down travel expenditures. Consider the annual costs you spend in meeting clients face-to-face. As a result of fiber's higher reliability and minimal latency, you save your business from incurring additional costs on petrol, airfare, and accommodation through video conferencing. In instances where it's not practical to visit client sites or supplier offices, fiber Internet can facilitate a more powerful yet cost-efficient way of communication minus the hefty travel costs. Opportunity to expand on unexplored market opportunities. Borderless commerce is the new storefront. What was once considered as geographic barriers are now obliterated by the seamless experience brought about by high-speed connectivity. With fiber Internet, you will have unlimited access to sophisticated tools and cheaper resources across the globe. You can get in touch with offshore suppliers and newer markets, giving you the advantage of potentially massive growth. A chance to be more agile and explore new things for better customer experience. Customers are becoming more technologically sophisticated. As a business owner, you need to keep up with the trends to attract more customers and retain existing ones. What if you need a software upgrade to deliver better customer experience? Take the health care industry for example. Fiber connectivity can back up on-going initiatives to collect data from millions of patients seeking health care. Consequently, multiple data sources are consolidated to test newer models of electronic health records and facilitate better clinical decision-making. Whether it's keeping the costs down, exploring new tools, or competing in a highly saturated market, the opportunity to scale your business is just a fiber connection away. 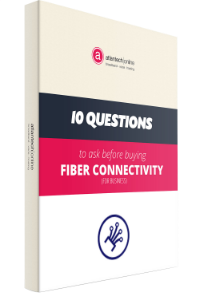 The fiber experts at Atlantech can show you how.